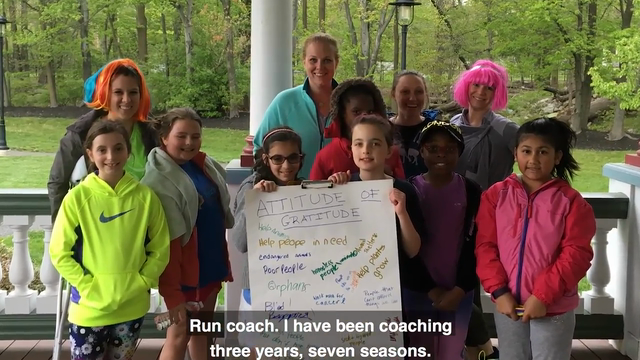 For Angela Vitellaro, Aflac CSR Hero and an independent agent licensed to sell Aflac products, compassion is key when it comes to her role as a volunteer coach with the youth development program Girls on the Run of New Jersey East. At a time when young girls are often confronting issues like cyberbullying and low self-esteem, Angela coaches her team to overcome these issues by setting running goals and participating in service projects. "The main things we try to get these girls to take away from the program are confidence, competence, self-esteem, goal-setting and achievement. We want them to value themselves and be strong going out into the world,” Angela says. Aflac is a Fortune 500 company, providing financial protection to more than 50 million people worldwide. When a policyholder or insured gets sick or hurt, Aflac pays cash benefits fairly, promptly and directly to the insured. For more than six decades, Aflac voluntary insurance policies have given policyholders the opportunity to focus on recovery, not financial stress. To learn more about Aflac, visit the company's website.